It is a global theme because our family will be moving to Ecuador in one year to do mission work there. Daddy and I designed it with world travel in mind! We love Behr paint! 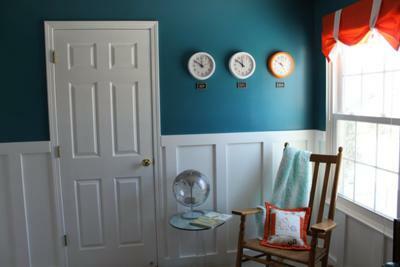 We chose a deep teal/blue color for the top portion of the wall and bright white for the bottom. Daddy did a modern wainscoting treatment to the bottom portion of the wall by nailing boards every 16 inches. I love the added dimension it provides! We found all of our baby furniture (crib, changing table/dresser, and antique chest) on Craigslist! 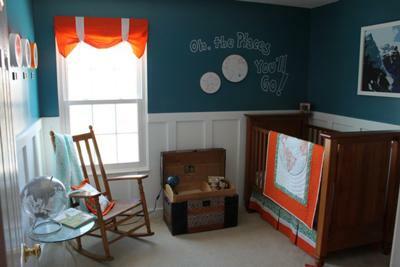 All of the linens in the room were handmade by Grandma! Mommy helped to design them, but she stitched them all with love. 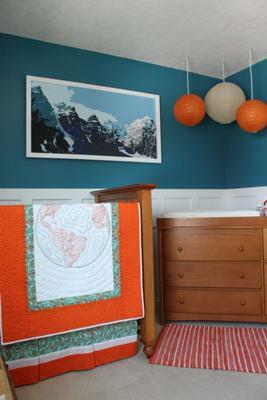 I especially love the quilt she made! The large mountain painting was designed by Daddy and painted by Mommy. The window treatment was handmade by Grandma to match the bedding. The rug was bought at Meijer for a nice low price, the lanterns came from World Market, the clocks are from Target, and the embroidery circles and quote were hand done by me! The antique shelf is my favorite part of the storage. A few shelves are in place to store photos and knick-knacks, and the dresser/changing table is a very handy storage device. 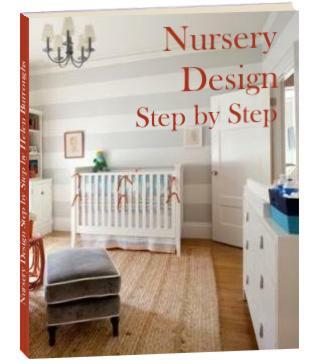 We took our time piecing the nursery together, so it took several months until it was completed, but we had a great time making everything very unique to us and our baby-to-be. It was so fun watching it all come together in the end... just as we imagined it! I love how much thought went into every aspect of the room. Every move we made was very purposeful. We will always look back on the designing process with good memories! 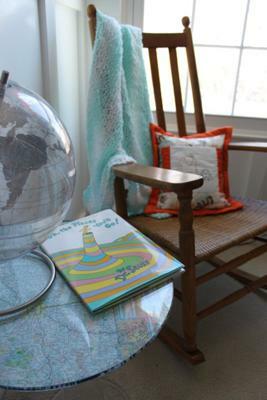 So original - I love the quilt with the map on it - you should come and share it on our hand made baby stuff page!